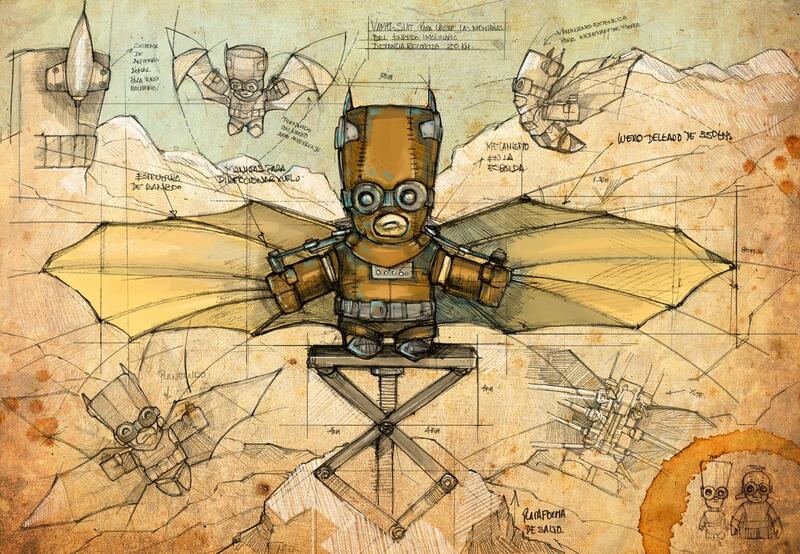 The Bat Exo Suit, is a flaying exo suit inspired in steampunk mechanics, and Davincian technology. Its an illustration which is part of "Yute and Tocuyo's Imachinarium", a story in the works about two little robot friends who are trying to find their origins and purpose in a retrofuturistic, post apocalyptic world. Both characters are a talented machine-builder-duo, who will use their machines to traverl the most extraordinary worlds in search for answers.